In the auditorium on September 24, Reagan’s choir students along with a hand full of band students will be hosting a cabaret show. A cabaret show is entertainment with food and drink commonly featuring music, song, dance or drama.The decision to bring back cabaret after not having been performed for two years began with the WSMAs. The WSMAs (Wisconsin School Music Association) is a competition where the students prepare pieces for six to eight months to be judged and receive feedback. The pieces that are practiced usually are not used again outside of the competition. Mrs. Wylie explained, “We really made it so these kids could have another opportunity to perform some music that they don’t normally get to perform". Guests attending the cabaret show should arrive at the auditorium by 6 p.m. and expect to stay till approximately 7:30 p.m. Upon entering the auditorium, seating for the audience will be small tables on the stage, creating a more intimate jazz club vibe as opposed to a concert hall feeling. “If you’re a musical theatre buff, this would be the event to come to!” said Mrs. Wylie, Associate Choir Director. During the show, free appetizers will be served. The choir students are experienced in performing and are expected to stay calm under the pressure of an audience. Guests should dress to relax and enjoy the voices of the choir. The band and choir students have a goal of fifty audience members. Be one of them by visiting the school on September 24! 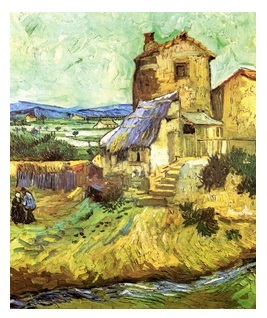 The show traveled from Vincent Van Gogh’s The Old Mill (pictured above), depicting Van Gogh’s trademark loose brushwork and gorgeous movement, and ended with Andy Warhol’s 100 Cans (pictured right), featuring Warhol’s repetitive print style and love of Campbell’s Soup cans. Visitors should also look out for one of Salvador Dali’s lesser known pieces,The Transparent Simulacrum of the Feigned Image. Other highlights include Henri Matisse, Edgar Degas, Henri Toulouse-Lautrec, Pablo Picasso, Georgia O'Keeffe, Mark Rothko, Frida Kahlo, Jackson Pollock, and Roy Lichtenstein. The show as a whole did an exquisite job of portraying over a century of art history in little over seventy pieces, making sure not only to include widely known artists but also the smaller contributors that had just as much of an impact on the art community. What makes art rebellious? Is it somehow bolder than art to come before it? Or is it simply different than its predecessors? This concept of rebellion is now illustrated in the Milwaukee Art Museum's’ latest special exhibit, Modern Rebels, which opened June 18th of 2015, featuring works by 68 different artists, on tour from the Albright-Knox Art Gallery in Buffalo, NY. Though the rest of the museum’s regular collection is off-view due to construction, this exhibit more than made up for it. Each artist featured in the gallery were those to be considered ‘radical thinkers’, or ‘rebels’ of their time period and art movement, from Post-Impressionism to Abstract Expressionism to Pop Art. Though almost completely painting-dominated, the exhibit features a few mixed-media pieces and sculptures. The show will be open until Sept 20th, but watch for MAM’s next photography exhibition, Larry Sultan: Here and Home, opening October 23. Tickets and information are available at www.mam.org . 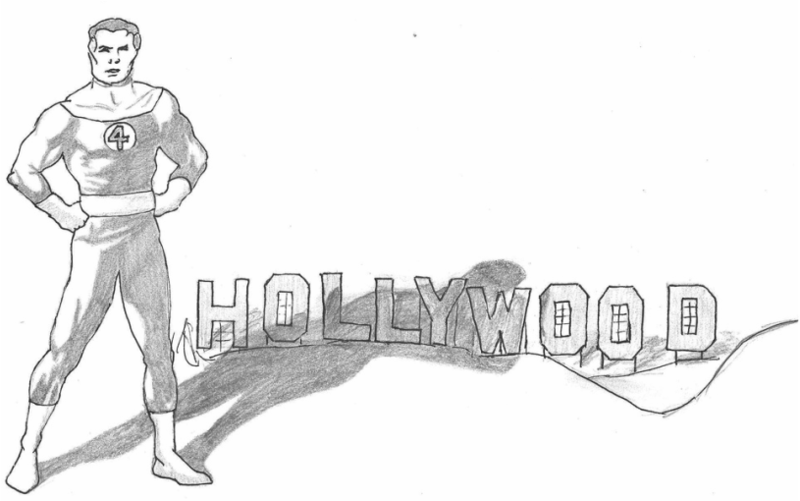 Are Superhero Films Taking the Art out of Cinema? It’s a bird… It’s a plane... No, it’s another predictable superhero flick. If you have gone to a movie theater in the past 5 years, odds are you have seen a superhero movie being advertised or shown there. Classic superheroes are no strangers to the big screen, and, unfortunately for movie fans, they don’t seem to be leaving anytime soon. It was in the early 00’s, when Bryan Singer, Sam Raimi, and other famous directors started making these movies. Packed with superstar actors and advanced computer-graphics, these films were exactly what the young generation-X moviegoers wanted. Even though these movies have been made since the early 60’s, they never had the necessary technology to make the epics that people wanted. Directors alike largely owe their film successes to equipment development and modern movie-making gadgetry. Soon it was blockbuster after blockbuster in the box office: X-Men made over 100 million, Spider Man with 400 million dollars, and The Dark Knight grossed over 1 billion dollars. Yes, a billion dollars. Since then, the production of superhero movies have skyrocketed. The reason studios like Universal and 20th Century Fox are pushing for more of these films is because they are the highest grossing. It is a guarantee that these motion pictures will make a profit of at least 100 million dollars, so it’s no gamble. One would think that if these movies are making so much money, they should be - would have to be - good, right? Wrong. The recent release pool of superhero flicks are mediocre at best. I would argue these movies take the art out of cinema for two reasons; they lack originality and they pander to the lowest common denominator. This August marks the sixth adaptation of the Fantastic Four comics; basically, that’s six films telling the same story. Sounds fun, right? However, Fantastic Four is not the only culprit of marketing recurring plot themes. Almost every superhero film can be boiled to a simple formula: good versus bad. There is no complex story structure and no character development, just good versus bad. The only differences between the films are characters and setting, the plots, however, are the exact same. The first act of the film usually includes the main character discovery or letting on to some impending danger, doom, problem, etc; second, the bad guy wins the first battle and the character must pick him/herself up and train; third, the city and its terrified citizens almost get blown up or wiped out. Not to worry though, because in the end, the hero saves the day, gets the girl, and lives happily ever after. That is until the sequel where the exact same plot unfolds, but the setting and villain have changed. This would be a little more tolerable if each company stopped after only two films, but lucrative franchises promise a series. To put this into perspective, this means the six Fantastic Four films with the same plot albeit new lead actress, is currently making much more than a film with an original plot and an authentic performance from a cast. Since these films are such expensive investments, the studios don’t want to gamble their money on a movie that might not make a lot of money. One method of ensuring some type of profit is including attributes or features within the picture that anyone and everyone can relate to. Based on statistics from the Motion Picture Association of America, for the past ten years all of the top grossing films of the year have been rated PG-13. “PG-13” is the safe haven for studio films, that is because it caters to both teens and adults. Those two large demographics combined definitely raise the profit ceiling; however, it does come with a catch. condense and change the story to receive a “PG-13” rating. That is where the problem lies; the films are forced to fit into that rating ,whether the story allows it or not. It is for this reason that you should not expect any character development, plot growth, or interesting dialogue when you watch Fantastic Four. Films like these are forced to satisfy all the demographics, so they can fit into the “PG-13” rating and make million. Films have been around since the early 1900s and are one of the most popular forms of entertainment today. Unfortunately however, a large portion of today’s films have lost any semblance of art. Even though superhero films have so many problems with plot and camera movement, they are continue to be mainstream. Rather than these faulty films having the low box office sales they deserve, they attract huge numbers and so keep being made. The more people continue to spend money to watch these films, the more these films are going to be made. Currently, there is no sign that these films will stop being released. Hopefully there is a change of heart in Hollywood. Do you agree with the reviewer?